As 2016’s about to come to an end, it’s time that we start to take a serious look on what to expect next year on the mobile end. We’ve got a lot of information on what coming in 2017. This starts with Samsung’s Galaxy S8, with the smartphone expected to feature quite a lot of upgrades. Speaking Samsung, the Korean tech giant has officially announced mass production at the 10nm node. Mobile processors for the upcoming year will feature the process. Now, we’ve got some more information on this end. US chip giant Qualcomm has provided information about its next generation of processors. Take a look below. For mobile hardware, 2016 has been a slow year. Most of the industry is in the wait for 10nm, which will debut next year. The Snapdragon 830 and Exynos 8895 will be launched in the first quarter of 2017. They’ll bring a lot of upgrades on board. Today, we learn about one of these. Qualcomm has announced details for its X16 modem. 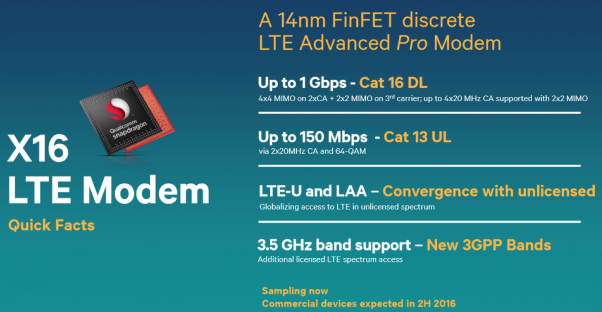 Qualcomm detailed the modem previously in February 2016. The company’s 4G/5G summit in Hong Kong featured a lot of announcements. The manufacturer is eager to jump to 5G and hopes to make this transition easier. To achieve this, it has partnered with Netgear, Ericsson and Australian carrier Telestra. The trio will deliver the first commercial gigabit LTE device. This, Qualcomm hopes will be able to provide networks at larger areas and higher bandwidth. 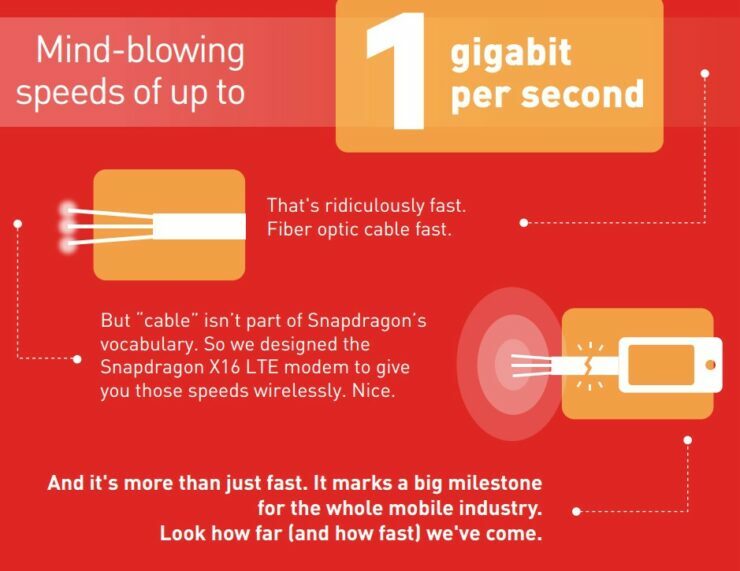 The Snapdragon X16 LTE modem is designed to reach Gigabit Class LTE speeds using the same amount of spectrum as Category 9 LTE devices. By using carrier aggregation and 4×4 MIMO, the Snapdragon X16 LTE modem can receive 10 unique streams of data using only three 20 MHz carriers. Its support for 256-QAM boosts the peak throughput of each stream from ~75 Mbps to ~100 Mbps, with additional gains possible with modem data compression. 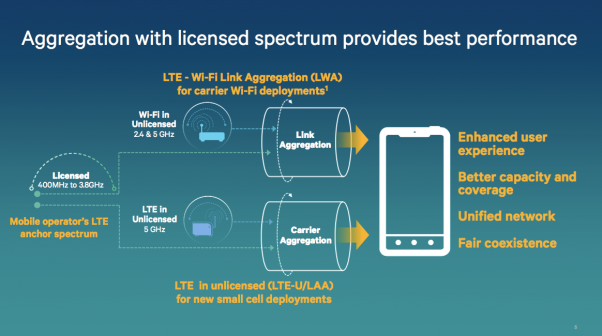 Additionally, with support for Licensed Assisted Access (LAA) as well as LTE-U, this combination reduces the amount of licensed spectrum required—to 40 MHz or less—to vastly expand the number of operators that can deploy Gigabit Class LTE speeds around the globe. Qualcomm also announced its first 5G router, the Snapdragon X50. The X50 is capable of up to 5Gbps on downlink. It is capable of 8x100MHz carrier aggregation, which gives it access to 800MHz of spectrum. These higher bandwidths and extra wavelengths come at a cost. They’ve got limited range, so unless Qualcomm has a lot antennas in place, the entire project will see limited coverage. The X16 marks a huge leap for mobile, with end results dependent on data plans and caps. 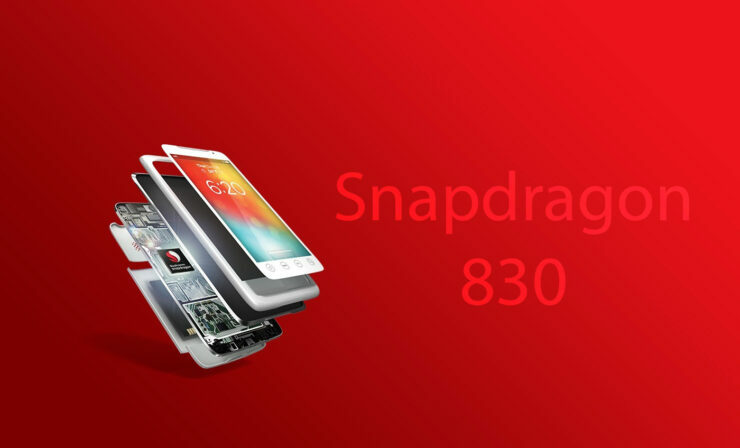 The Snapdragon 830 has seen impressive rumors as well. The rumor mill suggests that the processor will feature eight Kryo II cores. This will mark a huge a change from the company’s current architecture for the 820. It will also support 4Kx2K video recording and LPDDR4X RAM. Thoughts? Let us know what you think in the comments section below and stay tuned for the latest.